The World Cup resort that is situated at altitudes between 1,100 and 2,055 metres above sea level excels thanks to its many hours of sun exposure and its charming atmosphere. Over 103 perfectly groomed kilometres of pistes guarantee variety and fun when skiing in the Bad Kleinkirchheim resort. 24 lift systems take you fast and comfortably into the heart of the skiing resort. From family and leisurely skiing to challenging black pistes – there is something for every winter sports enthusiast. 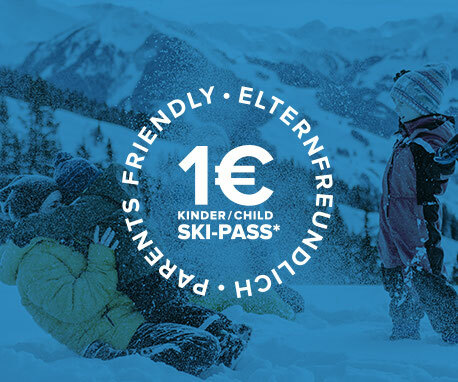 Bad Kleinkirchheim offers optimal conditions for a perfect family vacation .In four ski schools professional ski instructors look after your kids on-site. 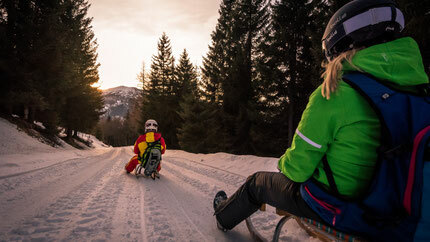 Unforgettable days with Nox & Nixi on the slopes are guaranteed, when the Kids' slope will turn everyday into a playful adventure for the small and smallest ones. More information you get here. 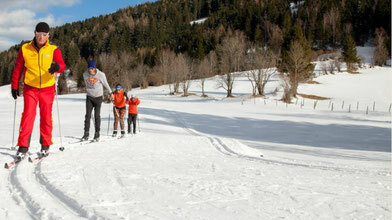 Cross-country skiing pleasures far into spring. Thanks to the altitude and the sunny climate, Bad Kleinkirchheim is a popular destination for passionate cross-country skiers. Whether classical style or skating – the sportive 8 km valley trail with views of Kärnten’s Nockberge Mountains offers variety and challenges for each skill level. Depending on weather conditions, trails are snowed from the end of November to the beginning of December and when snow conditions are really good take you all the way to Gnesau. Discover the variety of the cross-country possibilities around Bad Kleinkirchheim and experience your winter vacation at your own pace. Explore Bad Kleinkirchheim and its surroundings on romantic winter hiking tours. 60 km of groomed winter hiking trails lead past untouched slopes, through idyllic valleys and snow-covered forests. 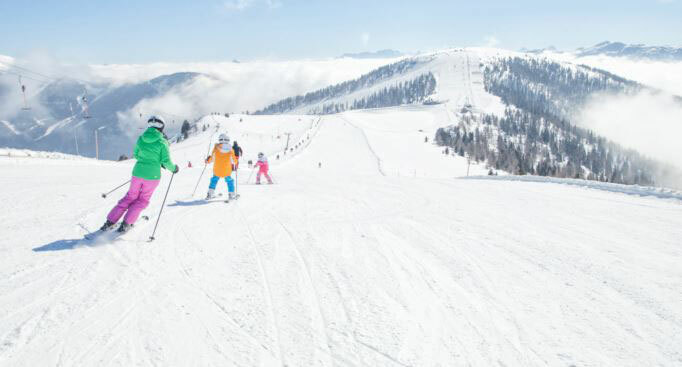 Discover the variety of Kärnten’s Nockberge Mountains – without carving skis or snowboard, at your own pace. Enjoy the silence far away from the busy pistes and regain strength amidst this fantastic winter scenery. Hiking trails you can find here. “Unterwirthütt'n“ with tractor taxi, Hüttengaudi. On Mondays and Fridays, rom 10 people on order. Bad Kleinkirchheim offer best conditions for ambitious racers as well as for more leisurely riders and families with children. You ascend on foot, with the lift or by tractor taxi. Outdoor ice skating is a great winter family fun activity. Elegantly gliding across the natural ice is a unique joy. 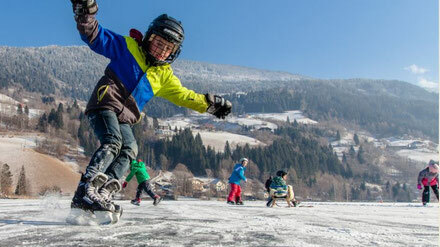 This traditional and fascinating sport is the perfect winter vacation activity in Bad Kleinkirchheim. 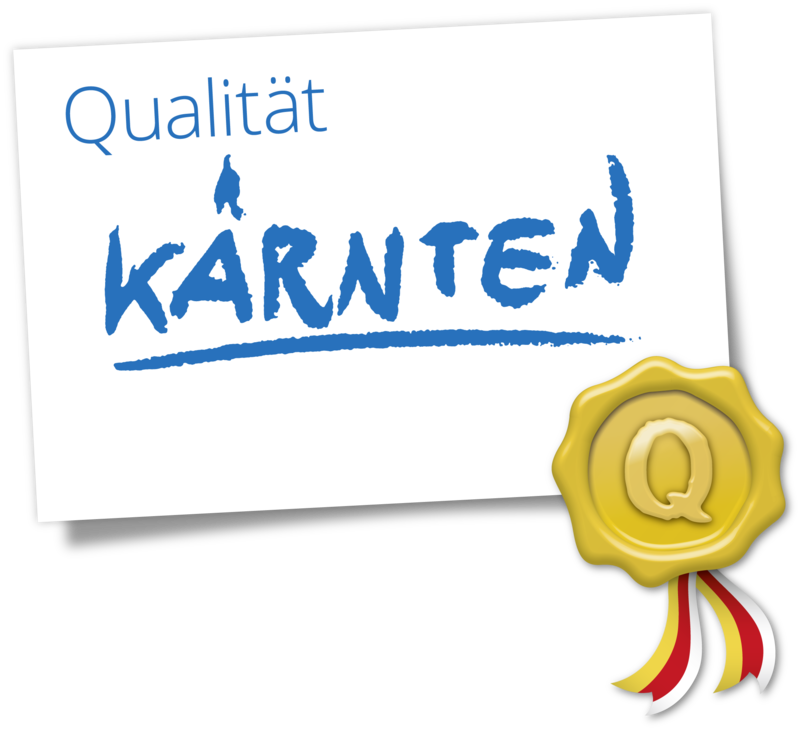 At the ice rink in the Kurpark and on the nearby Brennsee and Afritzer See lakes of the family sports resort of Feld am See, you can run leisurely laps and perform pirouettes. In addition, you do not have to squeeze the skates into the suitcase: you can also rent skates directly at the lake! Bad Kleinkirchheim have 2 Thermal Spas. 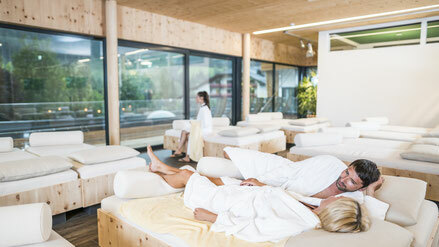 The thermal St. Kathrein and the thermal Römerbad wich guarantees infinite wellness pleasures and best recreation.The two thermal spas are major points of attraction for families and wellness enthusiasts.